This software company wanted to grow and develop an attractive and recognisable branding with us. With our strategy based around brand development, we drive a new audience and new leads to their website and landing page through multiple eye-catching adverts on the Tube, a luxurious brochure, magazine adverts and targeted social media advertising. As part of our strategy, we have given their website a complete redesign, with a brand new logo and a modern look. We have woven this contemporary look across exhibition graphics and animated YouTube videos, creating a cohesive and recognisable brand. GMA’s Managing Director Dean Spencer was able to identify the key weaknesses of the client’s assets and activity within his initial meeting with them. 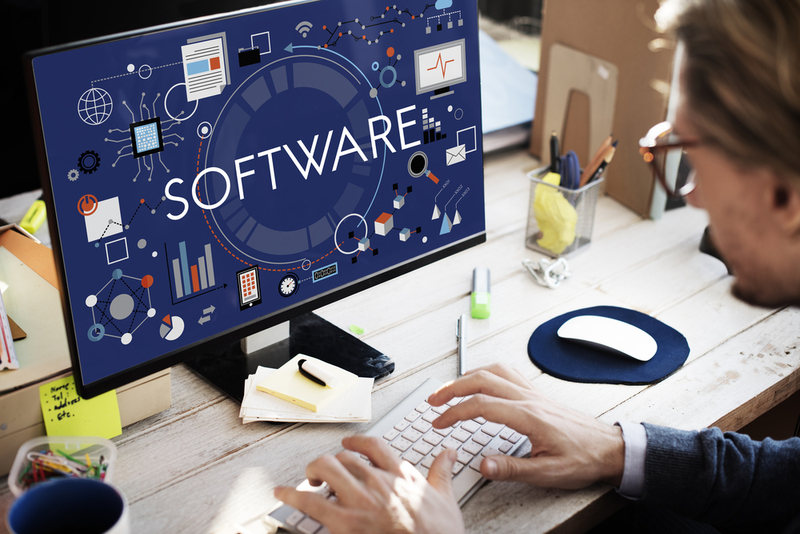 There was a strong potential market for the software, and it featured compelling benefits and advantages over other software on the market, yet the client was not seeing results. Dean understood the cause: the client was targeting the wrong market with the wrong message. The client’s website suffered from poor search results, with a severe lack of presence on Google. What presence the site did have was localised to markets which could or would not provide the sales the client was seeking. With the client’s website obstructing visitors with a muddled structure and customer journey, and the core message hidden in difficult-to-find pages, potential customers who managed to find the site were not able to picture how the software would fit into their business. Dean created a bespoke marketing strategy which focused on building a strong presence, both online and offline, in relevant sectors and industries. This presence would be bolstered by tailormade assets, such as a redesigned website, email campaigns, and magazine and London Underground advertising, which would give customers a clear reason to buy from the client over all other competitors. Before we could begin our full suite of marketing for this client and their software, we needed to design and create an attractive, recognisable branding to promote. Capitalising on the software’s cutting-edge features, our brand design for this client was sleek and modern, effortlessly communicating the client’s future-forward vision at a glance. Our brand design was followed by a complete website redesign and restructure. Our redesigned website for this client features a more user-friendly feel, with strategic design and copywriting elements allowing us to communicate the software’s vast variety of features and advantages in a format that is compelling rather than overwhelming. Integrated into the website was our advanced tracking code, allowing us to pinpoint and analyse potential leads in real-time. We also placed this code into the landing pages we have designed for this client, ensuring our lead generation strategy remains strong across the client’s online presence. The redesigned website features an animated video, storyboarded and produced by GMA, which packs the software’s diverse range of features and credits into just under two minutes, making it a highly effective piece of collateral. Two years after its initial creation, this video remains one of the client’s most useful lead and buzz-generating assets. 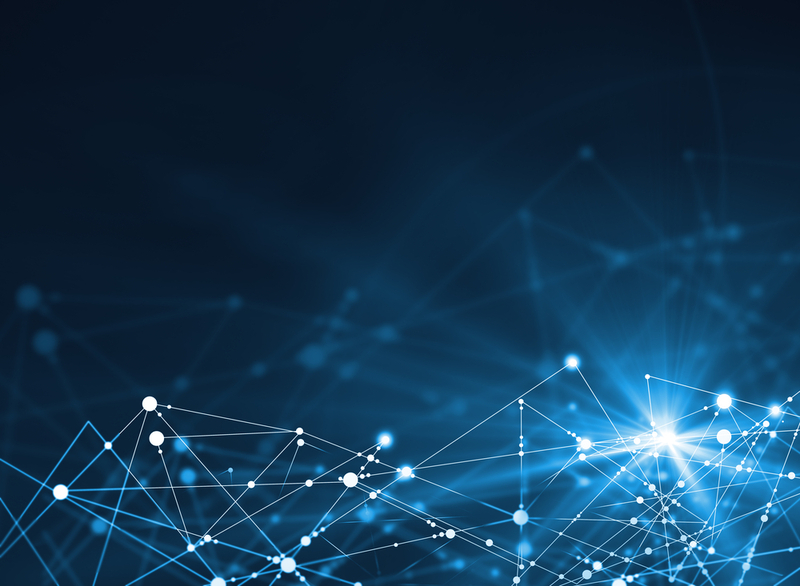 A diverse range of digital marketing activities allowed GMA to use our arsenal of specialist software and tracking systems to push brand awareness and lead generation to new heights – but our marketing for this client has not been confined to digital activities. Cleverly designed magazine adverts and brochures brought the client’s new modern branding into the hands of their customers and prospects. And with full exhibition promotion and support from GMA – along with eye-catching exhibition graphics to make the client’s stand memorable among the crowd, the client’s presence at exhibitions across the country was a strong one, raising their profile and giving them lucrative networking opportunities. In one of GMA’s more unusual – but highly effective – marketing moves, we designed and created seventeen adverts, placed in traffic-heavy Underground stations across London. 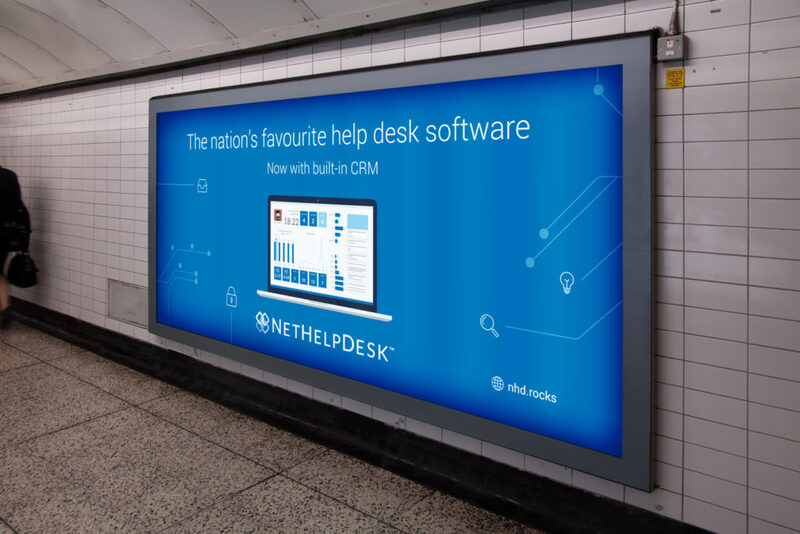 These adverts, placed in stations which research showed us saw heavy footfall from commuters, featured a high-impact design created to be read and understood at a glance, with a short, concise link to a tailor-made landing page. 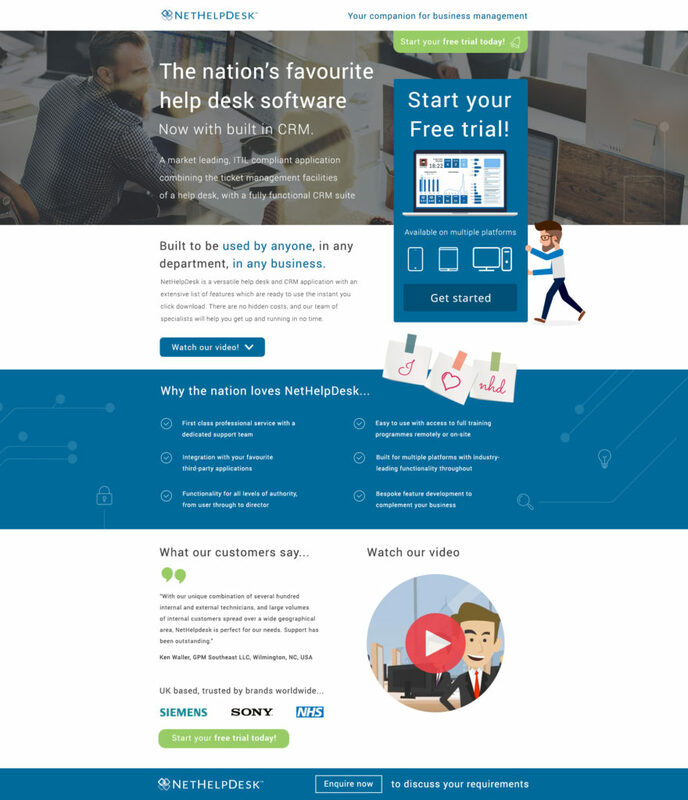 Sleekly designed landing pages allow us to swiftly communicate the unique features and selling points of our client’s software, along with testimonials from trusted global brands who have used the software. With our expert funnel structure in place, visitors to the client’s landing pages are guided organically down the page, through our strong branding and copy, to strategically placed calls of action. It is this carefully designed structure that has allowed us to generate leads for the client at such a high rate. 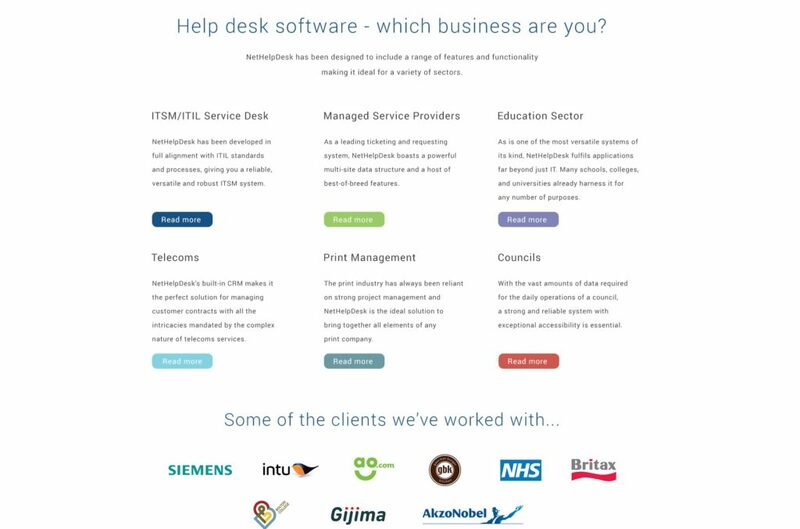 After analysing possible leads with the help of our advanced website tracking code and prospecting databases, we created a series of social media adverts promoting the client’s software. These adverts are highly targeted, with our lead analysis allowing us to take full advantage of Facebook’s audience targeting system to maximum effect. 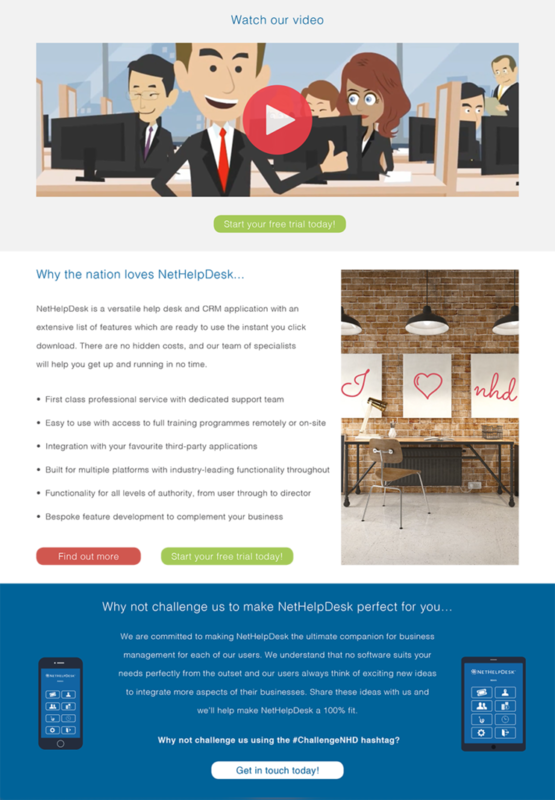 Targeting also helps us refine our regular email campaigns for this client, with every campaign – unique to target sectors and markets for precise messaging – displayed in an attractive mobile-friendly design featuring testimonials, video and social media integration, and compelling special offers tailored to the email recipients. GMA capitalises on leads tracked via landing pages and email campaigns with dedicated telemarketing from our expert team, following up on prospects to convert them into customers. Two years on from Dean’s initial meeting with this client, the foundation of branding, design and assets created by GMA is still strong, with an appeal and promotional power that has remained steady over time. From poor organic search results, GMA’s specialist SEO tactics gave the client’s results for their chosen keywords a strong boost, with significant additional traffic led to their redesigned website by email campaigns, magazine and Underground advertising, and a steady flow of social media advertising. With a strong foothold in the market, a sleek and recognisable brand, and a suite of sophisticated marketing collateral, the client’s future is bright.